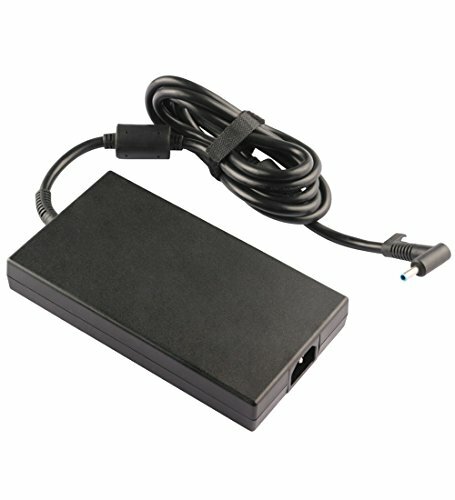 200W Slim AC Adapter Charger for HP 835888-001 815680-002 A200A008L TPN-CA03 HSN-C01C HSTNN-C86C 1NL39UT 1NL40UT 1NL41UT 1NL42UT 1NL43UT 1NL44UT W2F75AA, ZBook 17 G3/ZBook 17 G4 + Power Cord by Boyuan at Pacs BG. Hurry! Limited time offer. Offer valid only while supplies last. FREE shipping!!! & Ships from China!! !Please Check Connector Photo!!! Please confirm the specifications and plug size before purchasing!!! FREE shipping!!! & Ships from China!! !Please Check Connector Photo!!! Please confirm the specifications and plug size before purchasing!!! Please Check Connector Photo!!! Please confirm the specifications and plug size before purchasing!!! If you cannot confirm whether this charger suits for your laptop or not, please feel free to contact with us for help. Thank you! FREE shipping!!! & Ships from China! !! !Please Check Connector Photo!!! Please confirm the specifications and plug size before purchasing!!! If you have any questions about this product by Boyuan, contact us by completing and submitting the form below. If you are looking for a specif part number, please include it with your message.